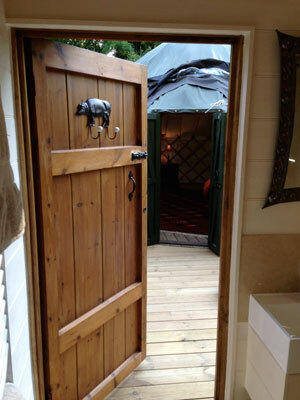 Linking the yurt and cabin is a deck which provides and outside eating area with table and chairs and a barbecue (please bring your own charcoal or we can direct you to where it can be purchased locally. You’ll be able to lounge on the handsome deck amidst the lush vegetation and spot herons, ducks and deer. You might glimpse a kingfisher under the dappled shade of the trees. Or catch the moorhens with their chicks swimming by. 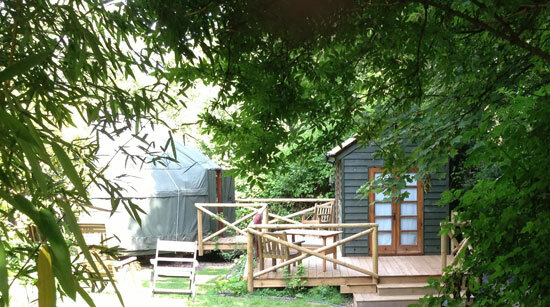 Perhaps just sit back, relax and enjoy the birdsong in the trees.